← Newsflash, Tina Fey: Muslim is the New Black! It was 1998 when Basimah Hasan left her hometown of Chicago for Minneapolis. In the Twin Cities, she attended nursing school and began her career at North Memorial Hospital. She says that there is a “big difference” between the Minneapolis and Chicago Muslim communities. But, if there’s not enough activity, Hasan (pictured above) is not one to sit back and wait for someone else to start it up. The nurse, talk-show host, screenwriter, community activist, and producer is stirring up all sorts of action. Through her nonprofit Hasan Publications Dawah Center, Hasan launched the “Islamic View.” The talk show aims not just to reach the Muslim community, but, more importantly, to reach non-Muslims with positive stories about Islam. The story of “Islamic View” begins when Basimah Hasan was thirteen years old. “My family wasn’t Muslim,” says Hasan. “That was a decision I made after reading about all the different religions.” Thirteen-year-old Hasan read about Christianity, Buddhism, Hinduism, Judaism. Hasan launched the nonprofit HP Dawah Center in 2003, but the spark for “Islamic View” came in 2001. The project has been slowly growing, she says. In the summer of last year, she began to rent a studio. Most recently, Hasan has begun to incorporate Islamic-themed poetry into the show. The first poem is set to air this Friday, March 21, after an interview with Imam Neelain Muhammad. In the pre-recorded show, Muhammad and Hasan talk about dawah, or the propagation of Islam. In the second half of the show, Muhammad—who is also a martial arts instructor—gives tips for Muslim and non-Muslim women who want to learn self-defense. “And then there’s the poem at the end,” Hasan said. It was just recently that Hasan put out a call to local Muslim poets. Others who’ve appeared on the show include local politicians and civic leaders, such as Hennepin County Commissioner Peter McLaughlin, community leaders, and people around the community. Next: A Muslim-Themed Soap Opera? Another media project Hasan has on the boil moves outside the talk-show format. Currently, Hasan is at work on scripting. “I have characters; I have names for them; I have some situations.” She plans to send out a casting call soon. If Not Muslims, Then Who? And that’s important, she says, because the show is “mainly for non-Muslims, because they are the ones who need to be educated. As Muslims, we have to help them understand” that the images they see on TV give a distorted picture of Islam. Want to Know More About ‘Islamic View’? Watch the show: It airs on Time Warner’s local cable station in Minnesota on Channel 16 every Friday at 4 p.m.
Want to participate in the show? Have a poem to submit? Email Hasan at hpdawahcenter@yahoo.com. Want to help? Says Hasan: “They could support by giving donations, they could support by volunteering to help, or by spreading information about the show.” If you’re interested, visit the website or email hpdawahcenter@yahoo.com. Learn more about HP Dawah’s other activities, such as providing Islamic literature to inmates and participating in the Twin Cities’ Juneteenth celebration, at their website. –Marcia Lynx Qualey is a mother, a writer, and is affiliated with the University of Minnesota in various ways. She is also an editor at EngageMN.com. 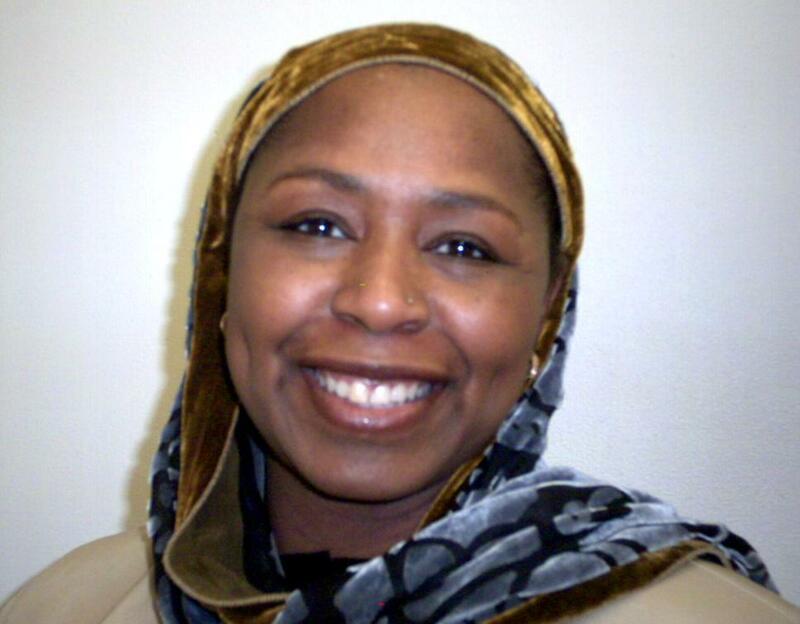 Posted on March 21, 2008, in Islam, Islamophobia and tagged Basimah Hasan, dawah, Events, Islam, Islamic View, Islamophobia, Marcia Lynx Qualey, Minneapolis, Minnesota media, Muslim poetry, Muslims, poetry, self-defense, stereotypes, television. Bookmark the permalink. 1 Comment. I’m proud of you sister,working to correct distorted images of this this deen is good deed with lots of reward.The media monguls and hate mongers in this country are dead set against giving a fare view of islam in most cases..So that means we have to do ourselves.Keep up the good work and may Allah bless you.